Formative Assessments are used to inform the teacher and the student. They are an informal diagnostic tool used by teachers to help guide and modify instruction. The importance of formative assessment is to help students gain understanding in their learning as well as give teachers a reteaching tool to offer clarity in a lesson. Teachers become facilitators of learning and can more easily recognize opportunities for differentiation, tiered learning, and scaffolding as well as acceleration. They are able to offer engaging student lessons and activities and can adapt flexible learning groups to targeted content. By focusing on student-centered activities, a student is able to relate the material to his life and experiences. The students is encouraged to think critically and develop analytically skills. This type of assessment allows for a teacher’s lesson plan to be clear, creative, and reflective of the curriculum. When incorporated into classroom practice, the formative assessment process provides information needed to adjust teaching and learning during instruction rather than after. The process serves as practice for the student and a check for understanding during the learning process. 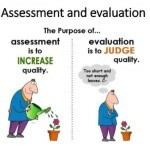 The formative assessment process guides teachers in making decisions about future instruction. US Digital Literacy offers two types of examples that may be used in the classroom during the formative assessment process to collect evidence of student learning, DIGITAL and UNPLUGGED alternatives. The digital alternative gives educators examples of applications and web based programs that offer a technology integrated formative assessment strategy while the unplugged alternative gives educators a traditional formative assessment strategy for instruction. If you search the web you will find countless examples of formative assessments. These are samples of some of our favorites. We like to use these for a quick and fun formative assessment, not a lot of extra planning required. Saves YOU the teacher time and provides cost effective strategies. Albers, Peggy, 2006. “Imagining the Possibilities in Multimodal Curriculum Design.” English Education 2nd ser. 38.N: 75-101. Web. Criswell, J. R., 2006. “Developing assessment literacy: A guide for elementary and middle school teachers”. Norwood, MA. Christopher-Gordon. Dodge, Judy, 2009. 25 Quick Formative Assessments. Scholastic Inc, NY: Scholastic, Print. Dodge, Judith, 2006. Differentiation in Action: A Complete Resource With Research-Supported Strategies to Help You Plan and Organize Differentiated Instruction and Achieve … All Learners. Scholastic Inc., NY: Scholastic, Print. Wagner, Barb, 2005. “Sharing Responses to Literature via Exit Slips.” Classroom Notes Plus August: 1-3. Web. Quick checks for understanding help teachers analyze student efforts around the learning. This strategy can also be used to publish student comments and ideas. According to Wagner, “published exit slips provide students with a recap of a previous day's lesson, they give students confidence that their voice matters and the students delight in looking for their entries.” They incorporate writing and allow educators to adapt and differentiate their planning and instruction. Look at the alternatives listed below to help you create an effective EXIT TICKET formative assessment. Take a note & post it to a virtual bulletin board! Access from home or school, visually organize, add pictures and so much more. Great for sharing ideas in class! Especially great for formative assessments! This is a place to brainstorm and ideas from class, collate research on a topic, gauge understanding, test student knowledge, curate website links, and share information with an audience. Also a great tool for formative assessments! This tool is a minimalistic yet effective feedback tool. Use it for real time audience participation, online brainstorming and classroom particpation. This is another great tool for formative assessment to gauge student understanding. Students post their response in a numbered parking lot. This is an analog alternative to digital response tools which helps the teacher gauge understanding via a ticket out the door type of assessment. This formative assessment provides students with a recap of a lesson and gives students confidence that their voice matters! with thumb signals. The teacher should ask the class a question (based on the subject/topic being studied at the time). When the children have an answer, they should indicate this to the teacher by putting up their thumbs. A variety of alternatives are available for thumbs, show of fingers (3-2-1) or stand up sit down are also great strategies. The digital ones are also really cool. Look at the alternatives below to help you create an effective Thumbs Up, Thumbs Down formative assessment in your lesson! Give students paper plates, index cards, whiteboard, or large sheets of paper when they enter. When asking a question have ALL students write the answer and at your signal, have ALL students hold up the plate (or whatever) so that you can see who/how many got the answer. But there are also some excellent and exciting quick quiz web apps you can integrate in yoru classroom too. These will definitely create excitement in your classroom and engage all of your learners! Your students will be begging you to play these quick quizzes over and over! Quizzam! 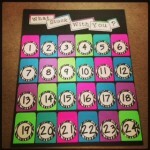 makes giving quizzes in the classroom fast and fun. It’s also a great tool for study groups and homeschool environments. This is a tool for your iPhone or iPads and is very easy to set u and use! Great app for formative assessments. Kahoot! is a game-based classroom response system. Create and play quizzes, discussions or even surveys (which we call Kahoots) using any device with a web browser. The background music adds anticipation and a competitive spirit to your classroom. The program helps the teacher gauge understanding by easily building quizzes and using this game as a formative assessment! Quizizz is a game-based classroom response system you can play on any device with a web browser! 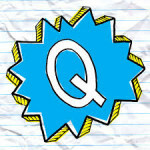 Create and play quizzes in a variety of formats. Build your quizzes or use public ones. Let students answer at their own pace and watch their data appear! The great part is you can download a spreadsheet to get detailed data to help you understand what your students still need help with! Another tool for formative assessments in your classroom. Most students love a little competition. Buzzer Beaters help create excitement and build the competitive spirit as students are challenged not only by formative assessments, but by the buzzer itself! You can use a variety of tools in your classroom as buzzer beaters. We are sharing some with you below that are quick and easy to integrate as a quick distributive summary so you the teacher can assess the learning. A 'fastest finger first' buzzer for the iPhone, Android phones, and Windows Phones! Now you and your friends can see who is the quickest with I Buzzed First! Have you ever wanted to host your own quiz, but needed an easy way to know who is the first to answer? I Buzzed First! is the app you need. This is a great way to check for understanding in the classroom. Great resource for formative assessments.